We are a Brisbane-based team of highly qualified Graphic Designers dedicated to providing a fast and friendly service to your printing needs. Yes! We can check your files as a free service and fix your Canva files! 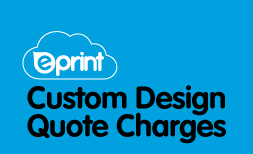 Custom Design Quote Charges is used by staff only. For customer enquiries please click on the icon Artwork Help.